In 1870 Elizabeth Job, a redeemed slave, was living in Santa Isabel on the island of Fernando Po – nowadays known as Malabo on the island of Bioko, part of the republic of Equatorial Guinea. 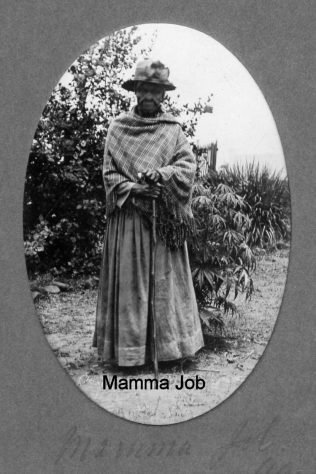 When the first PM missionaries, the Burnetts and the Roes, landed there on 21 February, Mamma Job was among those who welcomed them and their first services were held in her house. She died on Easter Sunday 1896. After attending the morning service she went home and was killed when a violent tornado demolished her house.